​Children work at their own pace in this multi-age setting, learning from each other or independently through work with Montessori material. The goal of the primary curriculum is to help the child develop mastery of self and the environment, self-discipline and social competence. Beginning with practical and social skills, children learn to keep track of their belongings, to put things away, and to share materials. Academics are introduced through concrete, manipulative materials which utilize all five senses and lay the groundwork for abstract thinking. Activity is orderly which allows children to function independently. The curriculum includes practical life, sensorial, language arts, math, science, geography, art, music and the introduction of a foreign language: German. ​Children who reach the age of five by September 30th and are recommended by the teacher and Educational Director are eligible for this program. 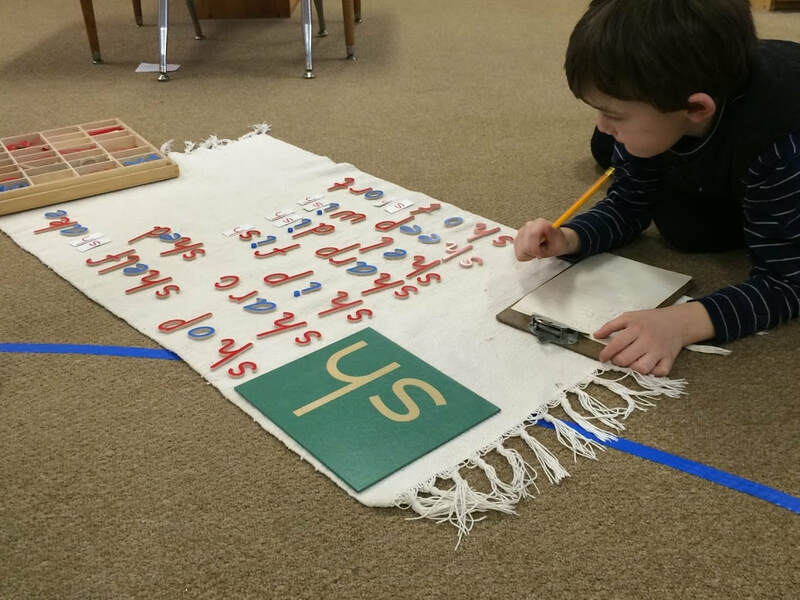 They participate in the Montessori mixed age group class in the morning program and then after lunch, extend their time with their Montessori teacher to enrich their experiences in skill development and special projects.